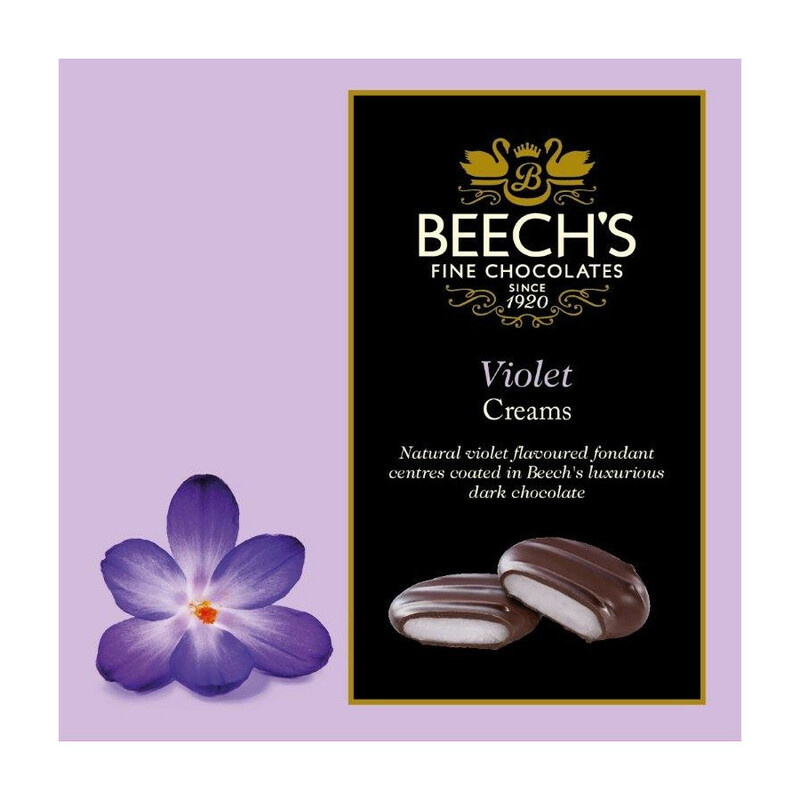 These delicious chocolate bites are filled with a violet-flavoured centre and coated with the finest dark chocolate that melts in the mouth. 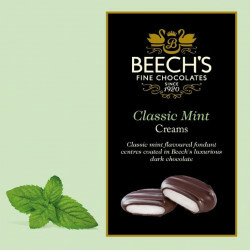 These chocolate creams are stuffed with delicious mint cream and coated with the finest black chocolate. Gourmet British orange creams chocolate delights, stuffed with orange-flavoured cream and coated with the finest dark chocolate. 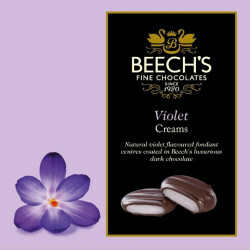 Ingredients: sugar, glucose syrup, cocoa mass, cocoa butter, emulsifier (soya lecithin), natural colour ( natural violet colour), flavourings (natural violet [0,30%]), natural vanilla, invertase. Allergy advice: see ingredients in bold. May contain: traces of milk, nuts. Keep in a cool, dry place, away from direct sunlight and strong odours. Best before: see date on pack.